This route is basically a direct start to the Soft Iron aid route. 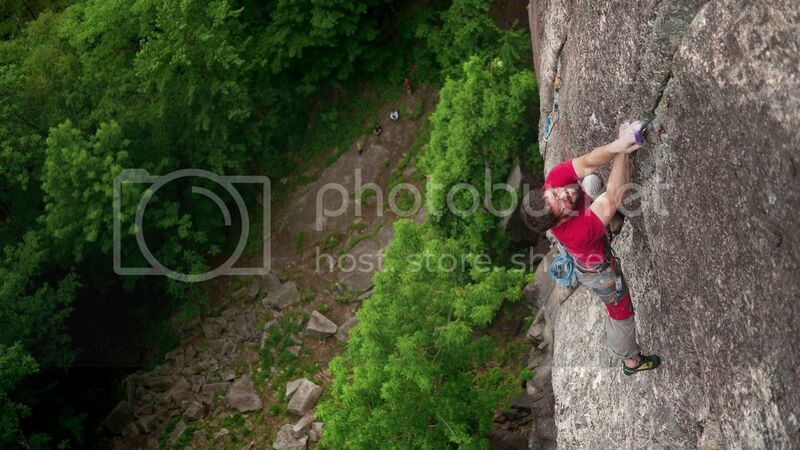 Same start as the second pitch of Highway 61, then up the corner using some crazy beta, 13b-ish to here. Get a small shake then launch into a long series of hard moves, joining the soft iron route. 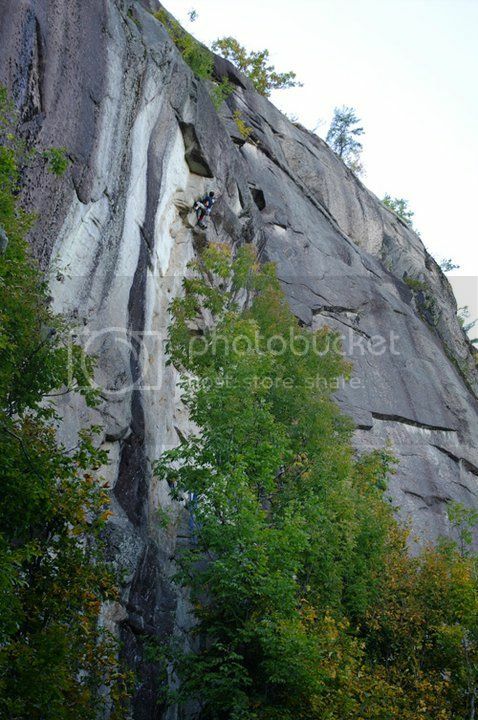 Gain the hanging crack, and enjoy some awesome 12a climbing to join the finish of highway 61. I placed 4 new bolts on new territory for this pitch, use one bolt on the iron route, and 5 pieces of gear, fingers, a .5 camalot, and a small nut. Jay congratulations on your new route! I only wish that I could try it but, you are in a special league of talented climbers that I am not worthy of belonging. I am elated that you were able to reach this goal through tenacity, hard work and skill. How you climb that hard in that humidity? Put the Soft Iron up years ago solo. Always thought that was nice rock and nice features. Loved the orange lichen. Put that thin soft iron pin in that small hole, thus the name of the route. It was my grandfather's from his Alps climbing days; hope you didn't have to trust it. It was early spring and I had climbed to just below that pin. The cliff had warmed and ice was sheeting off the upper wall making it unwise to continue. I returned a couple of weeks later having grabbed those specialty pins out of a box at home. 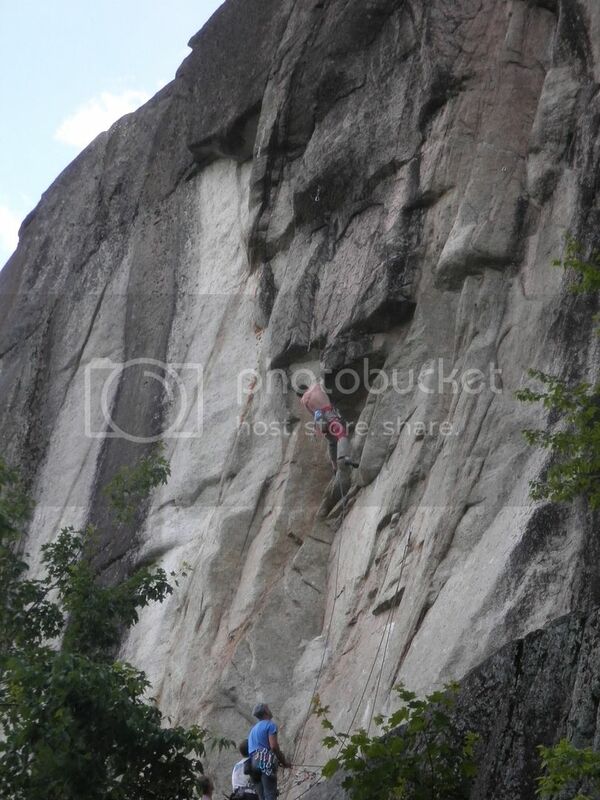 The thing I always remember about this climb is soon after rapping to the ground upon completion, I was talking to Uve(?) Schnieder just to the right of the route when a gigantic dead tree came crashing down to the base of the route. After we recovered from the shock and assured ourselves the coast was clear, we investigated the crater zone and found a huge raccoon lying dead on its back. Congrats. Yeah, great story. One can't make this kind of funny s*&# up!